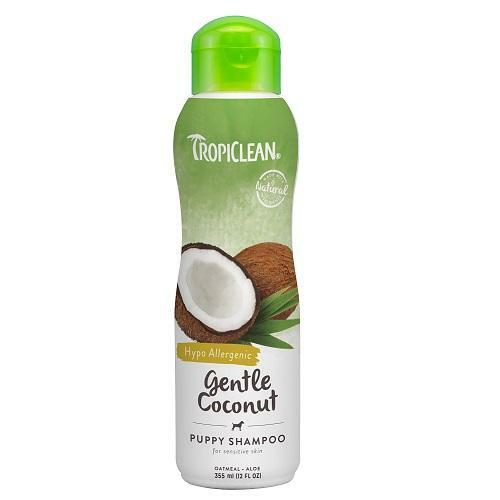 TropiClean Gentle Coconut Pet Shampoo is mild enough for puppies, kittens and pets with allergies. Coconut gently cleanses your pet"_s coat while aloe replenishes skin"_s moisture for a fresh, healthy clean. Bath-time is gentle and easy with our simple, natural ingredients that keep your pet clean, tear-free, and oh-so-snuggly. For dogs and cats of all ages (and safe for their humans, too).